THIS IS ONE OF 3 CONTIGUOUS PARCELS TOTALING 2.85 ACRES. LAND IS FAIRLY FLAT, THERE ARE NO WETLANDS. CITY OF FREEPORT SAYS THERE IS SEWER TO THE PARCELS.THE COMBINED 3 PARCELS WILL ACCOMMODATE 31 TOWN HOMES OR VARIOUS COMMERCIAL BUSINESS'S. ALL ENVIRONMENTAL TESTING, TREE STUDY, SURVEYS, & SOIL TESTS WERE DONE IN 2005. THERE IS A MOBILE HOME ON THE PROPERTY THAT HAS NO VALUE. 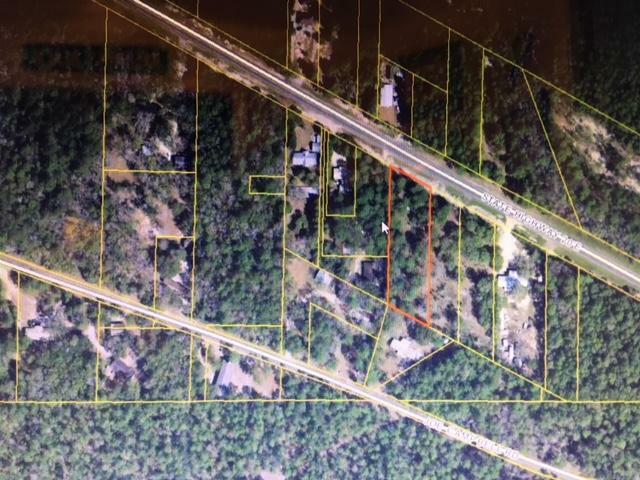 THERE IS A UTILITY EASEMENT THROUGH THE CENTER PARCEL AND OWNER HAS ALREADY GOTTEN COST TO MOVE THIS TO A SIDE LOT LINE.AGENT HAS AN EQUITABLE INTEREST IN THE PROPERTY. THE OTHER 2 LOTS ARE IN MLS NUMBERS 789931 & 789930. MLS LISTING FOR ALL 3 IS 789934.